You only get a limited number of spring breaks in your life. The first set of spring breaks you enjoy as a child, the second as a teenager and college student and lastly as a parent when you have children! This is a great time to hang out with friends, bond with family or simply just relax and reset for the span of time before summer! Most spring breakers actually go somewhere. Many families decide to hop on a charter bus to explore famous cities or take on an outdoor adventure. Students many times go on fun excursions planned by their teachers that they are told will be educational. No matter what you choose, traveling by charter bus makes it exciting! You get to experience the journey unlike any other form of transportation would provide. Who can give up the chance to stop at a roadside diner and experience homemade doughnuts or shop the treasures of a local boutique? Don’t forget that you aren’t the only ones traveling during this busy season. Many other spring breakers are doing the same thing, so be careful. Popular destinations can be a prime spot for theft, assault or pickpocketing. Always remember to never share your location publicly on social media and don’t bring valuables with you. Be sure to always stay in groups during the day and night. There’s always safety in numbers! Be sure to make spring break 2019 memorable! Plan to do something from your bucket-list or visit a popular attraction/monument/destination. Take lots of pictures! You’ll look back and tell of your spring breaks with fond memories. Finally, when you are planning your itinerary, plan to be home at least one day before you have to get back to work or school. This allows you time to get readjusted to your normal routine and catch up on all of life’s chores before you have to hit the road running again. 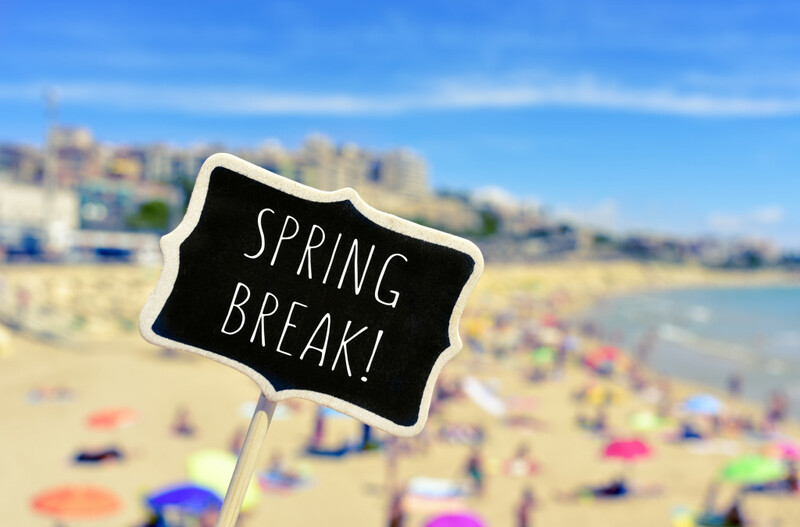 Remember: Enjoy, relax and make spring break 2019 one to remember with Annett Bus Lines!